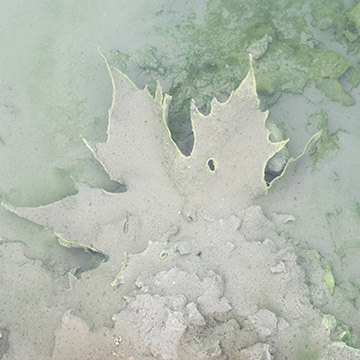 The sulphurous water of Terme di Sirmione with bromide and iodide salts, with its anti-inflammatory and antiseptic actions contributes to the prevention and treatment of gynaecological and urogynaecological disorders (vaginitis. vulvitis and vulvar dystrophy, cystitis, urinary incontinence, dysfunction of the pelvic floor, chronic pelvic pain, menopause, infertility in couples). In addition to vaginal irrigation with thermal water and the balneotherapy laid down by the National Health System, pelvic mud and rehabilitation of the pelvic floor are part of the treatment programmes. 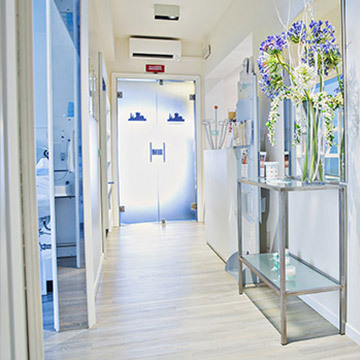 Terme di Sirmione’s multidisciplinary specialist team (urogynaecologist, dermatologist, physiatrist, physiotherapist, nutritionists, osteopath) is at the basis of the effectiveness and long-term prevention of the thermal project for women. List of conditions: Vaginitis, vulvitis, vulvar distrophy, cystitis, genito-urinary prolapse, urinary incontinentce, dysfunction of the pelvic floor, chronic pelvic pain, menopause, infertility in couples, pelvic inflammatory disease (PID), pelvic connective tissue sceloris, dyspauneunia, post-surgical or inflammatory peritoneal pelvic adherence, chronic aspecific vaginitis, chronic dystrophic vaginitis, vaginosis, acute cystitis, chronic cystitis, vaginismus, sexual dysfunctions, rehabilitation. SOME NOTES: the doctor carries out the vaginal swab or pap test and delivers it after the check-up. 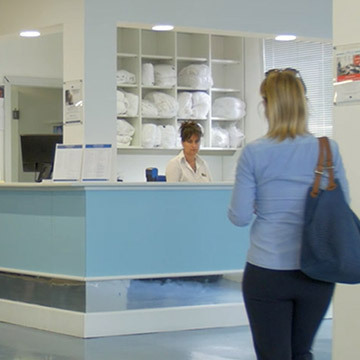 The swab or pap test can be delivered for analysis right away at clinic 6 at Terme Virgilio where the Blood Test Point of Desenzano Hospital is active. Payment can be made directly at the Blood Test Point in accordance with the rates of the hospital. Insertion of IUD (intrauterine device): for the insertion come with the prescribed device. Can only be inserted following an initial assessment check-up.